For Xiaomi, the Xiaomi Mi MIX 2 represents one of the most important Smartphones of the year, since the addition to being the successor of the famous Mi MIX, the Xiaomi Mi MIX 2 is in charge of representing the company against other premium mobiles such as the Samsung Galaxy S8 or the LG V30. The new Xiaomi device not only comes with a revamped exterior design but also has a much better performance, so it is considered high-end. The Xiaomi Mi MIX 2 is no longer just a concept, and now is part of the candidates to take into account when buying a high-end Smartphone. With the phone finally officially launched, it is time to make the long-awaited comparison with its predecessor. Exactly, it’s time to respond what changes does the Mi MIX 2 make relevant to your purchase? 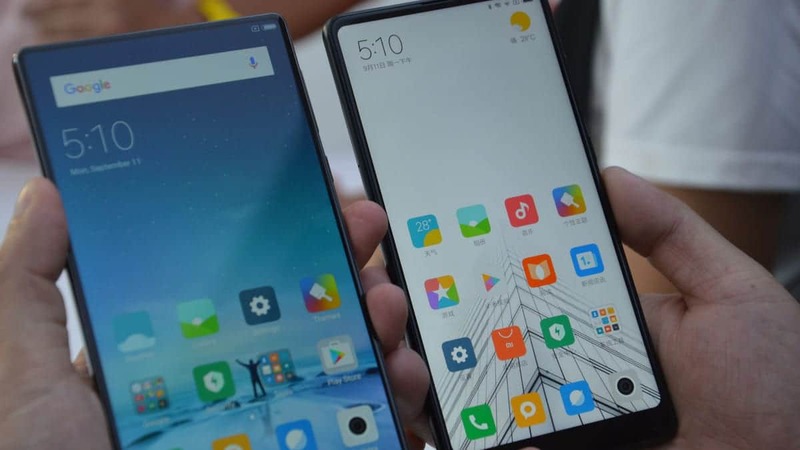 For this, we have decided to present you the difference and similarities between the Xiaomi Mi MIX 2 and the Xiaomi Mi MIX, and in this way, we were able to compare them in the table. In the images below you can see the most notable changes in the design. But we know that is not enough, and it was a stupid play by Xiaomi if the Xiaomi Mi MIX 2 performance was not better than the original Mi MIX. For that comparison, we have made a table where you can see the most relevant changes. Similarly, if you want to know more about Xiaomi’s new flagship mobile, we leave the direct link to the specs review analysis we made of it recently. Remember to follow us on our Facebook page, so you know more about the technological world around smartphones.